There really are few things that say “comfort food” like a hot, delicious casserole. 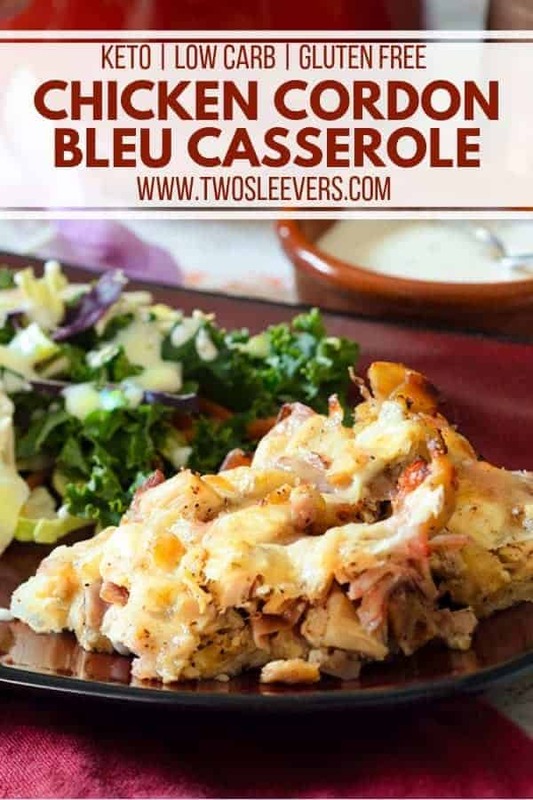 Whether you’re cooking for a picky family, looking for a quick dinner option because you’re pressed for time or just want to throw something delicious together using some ingredients you probably already have in your fridge and pantry, this Chicken Cordon Bleu Casserole is sure to be an absolute hit in your household! And best of all, this recipe is as low carb as it is tasty. 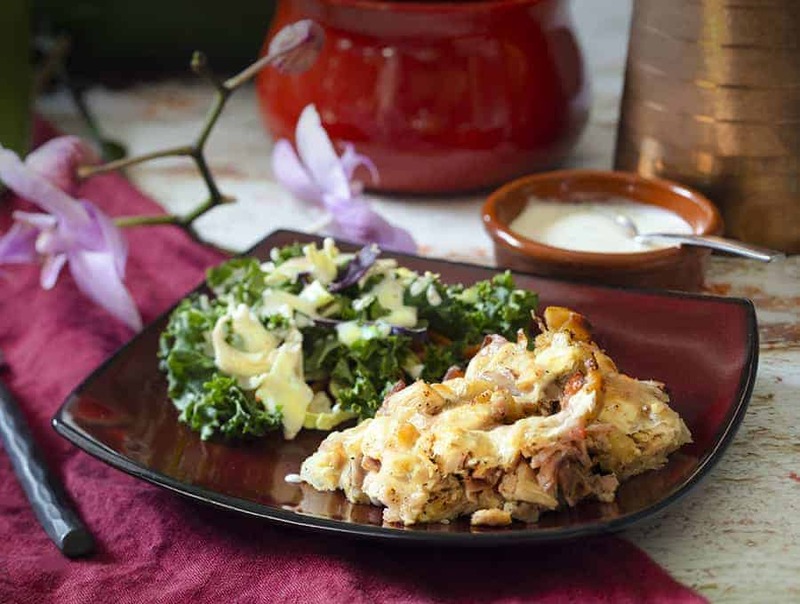 There’s nothing like a delightfully keto casserole recipe to cap off a long day, am I right? Let’s be honest, this is another one of those recipes that I threw together with ingredients that I already had in my fridge. But you know what? That’s how some of the best comfort food recipes are made. Nothing beats not having to go shopping for an extensive list of ingredients just to make dinner for the night. 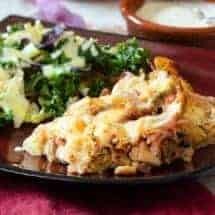 This Chicken Cordon Bleu Casserole is one of those recipes that you’ll want to put into regular rotation when planning your dinners for the week. As you probably already know, I’m a huge fan of recipes that take minimal prepping to make. This Chicken Cordon Bleu Casserole is so simple that you could probably have your kids make it for dinner (if you trust them with the oven, of course). But trust me, don’t let the simplicity of the dish fool you. This dish is absolutely delicious. And absolutely do NOT skip the ground nutmeg. #TrustUrvashi. That one ingredient will make all the difference. CAN I USE ROTISSERIE CHICKEN FOR THIS RECIPE? I bought the ham, the chicken, and the swiss cheese all at the deli, and voila! Dinner! So use leftover chicken, use rotisserie chicken, poach chicken from scratch–it will work either way. 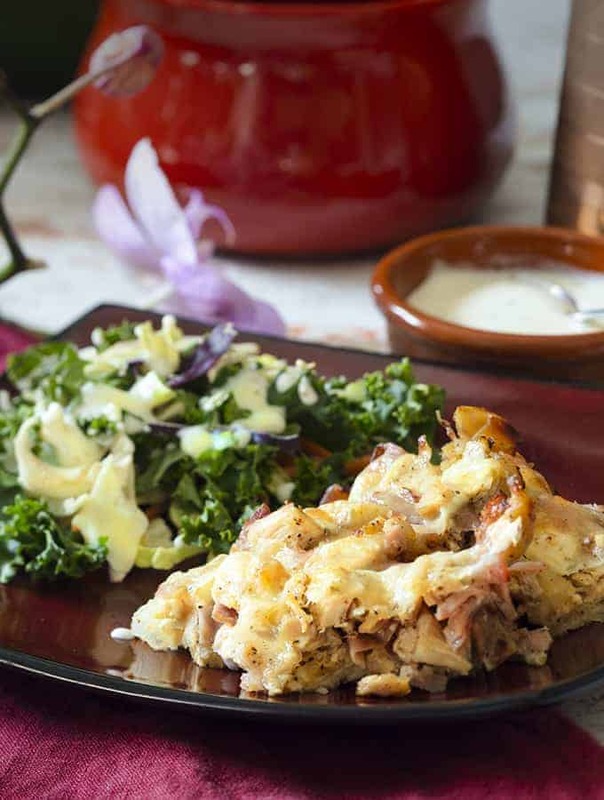 CAN I FREEZE THIS KETO CHICKEN CORDON BLEU CASSEROLE? That’s another great thing about this recipe is that it freezes very well, which is perfect if you’re the meal planning type or if you have leftovers. And believe it or not, I’d have to say that it actually tastes better the next day. But don’t take my word for it. Try it for yourself and see. 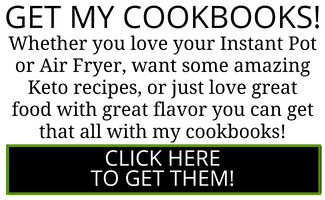 Looking for more awesome casserole recipes? 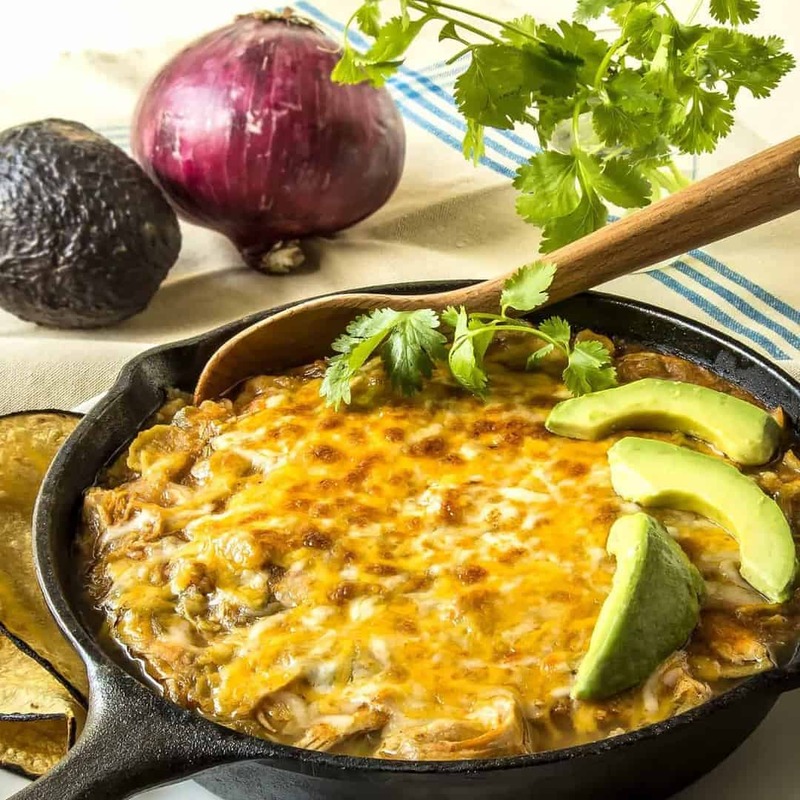 Check out my Chicken Enchilada Casserole! 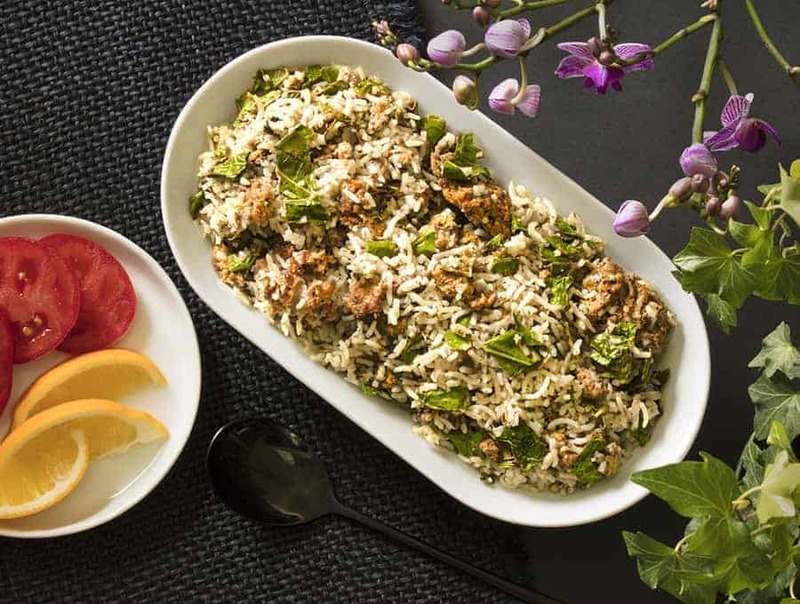 It’s perfect for those days that you don’t feel like making an extravagant dinner! And if you’re looking for a slightly more adventurous casserole option, check out my Unstuffed Dolma Casserole. It’s a great way to make Mediterranean dolmas without actually having to roll up each grape leaf individually. So the next time you’re looking to make dinner after a long and tedious day, opt for this Chicken Cordon Bleu Casserole. 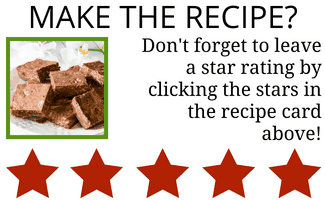 It’s so wonderfully easy and tasty that you’ll wonder why you hadn’t made it sooner! This Chicken Cordon Bleu Casserole is perfect for a week day family dinner. 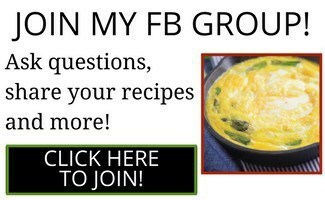 It's easy to make, kid-friendly, low carb and SO very good! In a large bowl, toss together chicken, ham, pepper, nutmeg and half and half. Spray an 8x8 baking pan. Place the half the chicken and ham mixture into the pan. Layer with 2-3 slices of swiss cheese. Top with remaining chicken and ham. Place the remaining slices of swiss cheese on top. Place the pan in the oven. Set to 400°F for 25 minutes. Watch the video on this page to see how easy it is!